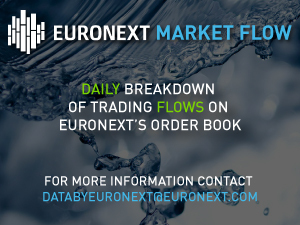 The Euronext Equity Off Exchange Trade Reports product provides information about off-exchange trades in a broad range of listed European Equities and ETFs. It contains trade reports submitted by investment firms to Euronext via the Trade Publication Service. European Equity Off Exchange Trade Reports is received via the Universal Trading Platform Market Data Feed (UTP-MD). UTP-MD is a high-speed real time multicast data feed, offering ultra low latency publishing. UTP-MD is available over the Secure Financial Transaction Infrastructure (SFTI) network..